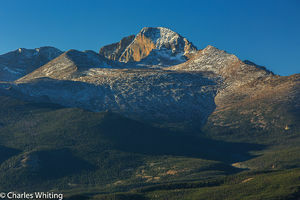 "Longs Peak East Face, The Diamond"
I am pleased to offer several printing and mounting options. There are options designed to offer very high-quality prints, that come mounted and ready to hang, at a great price. Other options are designed to produce exhibition-quality prints. All of the printing and mounting products are easy to maintain and are designed to last a lifetime. All print products are covered by a 100% satisfaction guarantee.